Forex Translation services are highly needed to help financial intuitions and brokerage firms to communicate with clients and colleagues in other countries. Not to mention, brokerage firms have to market themselves to foreign audiences to attract new clients. Forex helps set the exchange rates that allow people to trade currency, a method of investment that is becoming more popular. This currency trading started in the early 1900s then, as time went by, started gaining appeal from financial professionals everywhere. Professionals in this market include those who work for financial institutions, like banks, international currency exchange offices and brokerage firms. 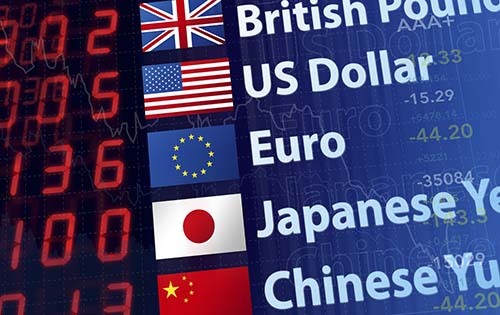 Since the Forex market is quickly bringing the benefits of investing and working in currency trade to light across the world, a This requires a translation services company has a proven record of experience in assisting brokerage firms in expanding their business globally. How Can TRANSHOME Serve You? We understand the importance of the FX, or (Foreign Exchange) Forex translation services to those who work in the forex industry. TRANSHOME helps the financial institutions and the brokerage firms to expand their business into wider markets by providing professional Forex translation services in more than 120 languages around the world. Our team produces high-quality forex translation services by using the most cutting-edge Computer-Assisted Translation Tools (CAT) that help with ensuring accuracy, consistency and conveying the correct message of the original content. We help your Forex Business to Grow! When it is the time to translate your business’s website into multiple languages, TRANSHOME is the best choice for you. We help your business to achieve its targets by translating, localizing and globalizing your content with a high level of accuracy that saves your money and hassle and ensures that your investment in a website translation services is not wasted yet. We care to translate your website’s content into the target market’s language with a native flavor, to ensure that the native audience feels it friendly and close enough to their local culture. Why Waste your Carefully Calculated Funds on Poor Translations? Since we care about your money invested, we offer the best package that suits your budget and the project’s requirements in order to provide your business with the best language solutions within a specific budget. Are you a Brokerage Agency needs Professional Forex Translation Services? Look no further than TRANSHOME. We have been providing financial translation services for more than 20 years and look forward to many more to come. We aim to make ourselves available to you through various communication channels. You call a customer services representative now or send us a message on your favorite social media platform and get a FREE Quote within minutes.